The ever wonderful strawberry is in season. The batch we picked up proved to be just as succulent and juicy as ever! Full of flavor, color, vitamins and antioxidants. So. 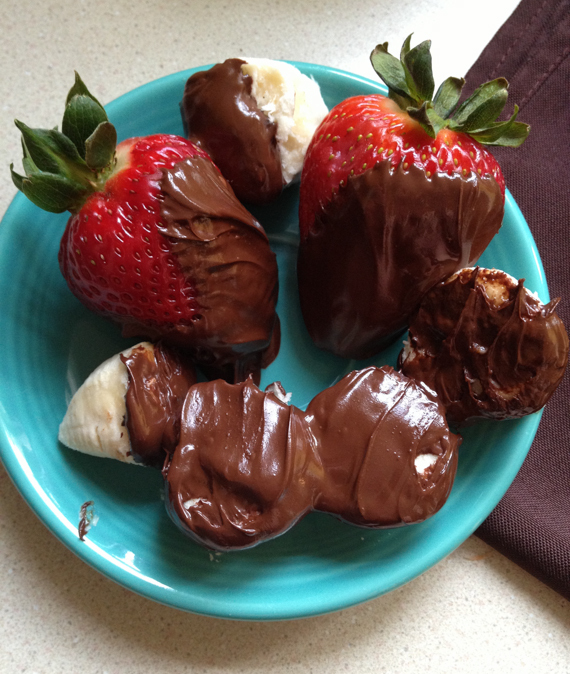 It might just mean that you should go buy some so you can make these delicious peanut butter stuffed chocolate covered strawberries. A mouthful for a mouthful. This dessert is super easy to whip up and even easier to devour. Warm the chocolate. You could also make these raw by using equal parts coconut oil, agave/maple syrup, and raw cacao (just blend ingredients in a personal blender or whisk with a fork. I would use about 1 tablespoon each – once strawberries are topped, place in the freezer – coconut oil hardens at cold temps). Load up your strawberries and spread ’em out. A perfectly indulgent but healthier dessert. Fill a small or medium sized saucepan with a small amount of water, place a heat safe glass bowl or cup in the water (there should be enough water to cover about half the bowl). 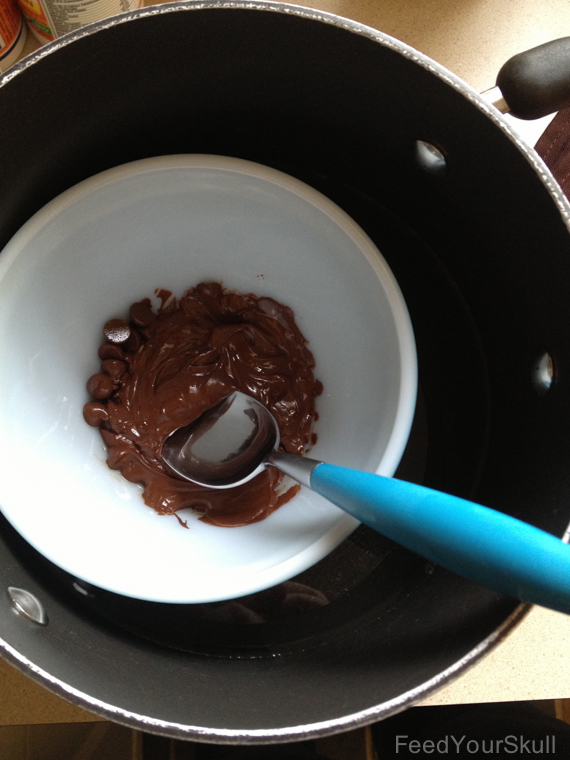 Place the chocolate chips inside the bowl. Warm on medium-low heat until chips begin to melt and are able to be stirred. Remove from heat and place on a hot pad. 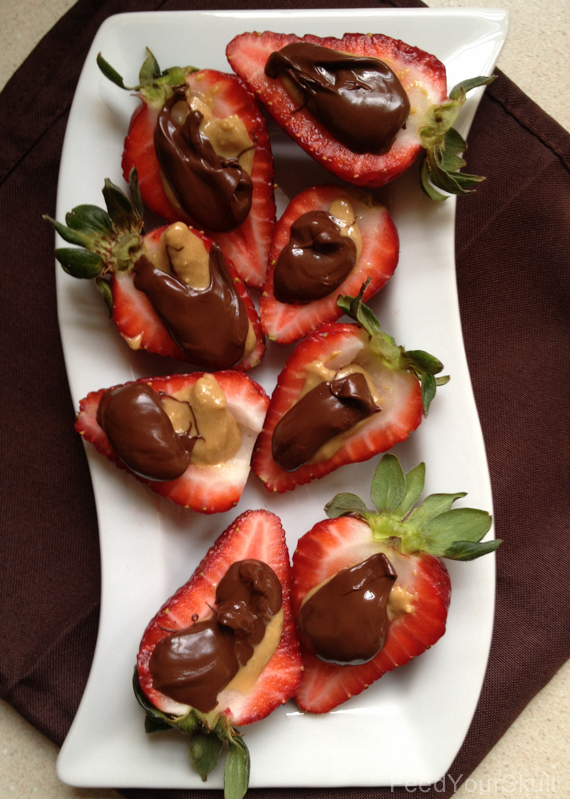 While that is happening, fill strawberry halves with 1/2 - 1 teaspoon of natural peanut butter and place on a plate. 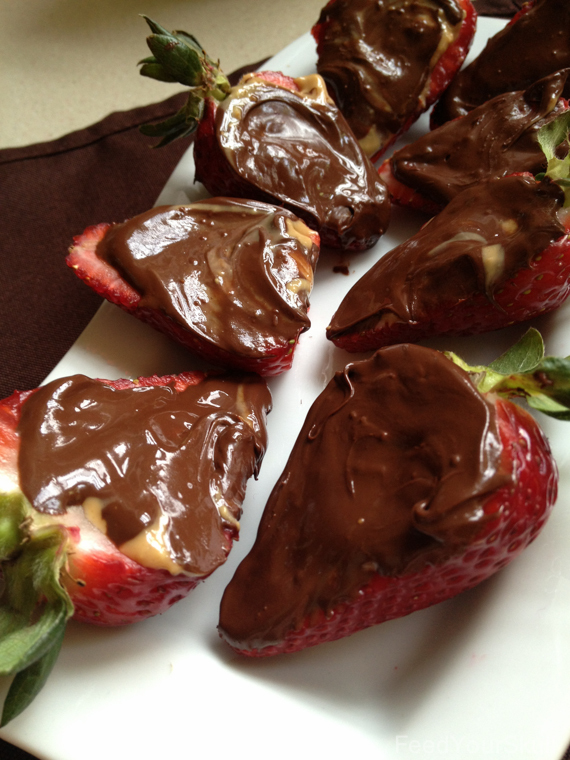 Once chocolate chips have melted, use a small spatula or spoon to cover the strawberry halves in chocolate. Place in the fridge or freezer to harden. Best eaten same day. If you do have a microwave (we do not), feel free to heat chocolate chips 10 seconds at a time (do not burn them, they will do so quickly) until melted. If you end up with extra chocolate – find other things to cover! I personally love all berries but strawberries and blueberries are probably my favorite. I like blackberry and raspberries but sometimes those seeds are just too much.